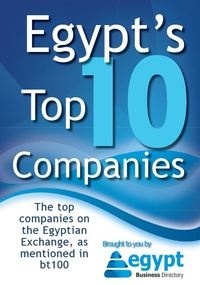 Following India, China and Malaysia, Egypt becomes a sought-after destination for outsourcing. International consulting firm A.T. Kearney conducted a research in 50 countries, comparing their outsourcing services and evaluating them. The countries were assessed according to their costs (incl. wages, taxes, transition costs etc. ), labor-market (number of employees, education, training and language skills), and business climate (political and legal situation, intercultural exchange, internet-infrastructure, and energy availability). In terms of cost, Egypt even performed better than China and Malaysia, yet its major problem lies in the business climate. All in all, it received an overall score of 5.81 out of 10. In 2010, the Egyptian government had hoped to gain $1.1 billion from the Outsourcing business, yet follow-up reports on that matter didn’t come into realization, die to the 25th of January uprising the year after. In the past years, Outsourcing has received increasing attention from multinational companies. Employers have seen it easier to have some tasks done overseas by “cheaper labor”, instead of hiring additional employees in their own country. This is a very popular strategy in the IT and Call Center sector.